Now that I have the proof of concept code running, it’s time to modify the built in Arduino core library that handles OTA updates. The existing OTA library takes a binary object and an optional MD5 hash (to verify the upload), stores it in flash memory, then swaps the old binary out of the new binary and reboots the device. To do verification via digital signatures, we need three additional pieces of information: the developers certificate (used to decrypt the hash), the encrypted hash, and the Certificate Authority certificate used to verify the developers signature. The CA needs to be compiled in to the source code – there is little point sending that along with our payload. The developer certificate and encrypted hash on the other hand, need to be supplied with the binary . One option is to upload the three files separately, but this would require extensive reworking of the updater API, and of the OTA libraries. A better option would be to somehow bundle all three files in one package, which is the path I am looking to go down. So, the first thing to do is work out what the file format looks like. The binary blob is of an arbitrary size, and starts with the magic byte: 0xE9, which I assume is an instruction that is required to start the boot process. Our certificate is also an arbitrary size. The signature will be fixed size, but dependent on the algorithm we use. Clearly we need some way of instructing the updater code where the boundaries for each file are. I wrote a quick little c program that packages everything up. This produces a Bundle.bin file that can be uploaded.So far, I’ve managed to decode the lengths, and find where the two files I’m interested are live. Next I need to pull the files out, and do the verification. I think I’ll sign the binary using MD5 for the moment, as the updater class already has that function built in, so I effectively get it for free. Comparing the SHA256 of a file after it has been uploaded allows us to check that it hasn’t changed. This doesn’t tell us if the file has been tampered with though – it would be easy enough for a someone to change the binary, and then change the hash so it matches. We upload the new binary, our public key and the signature file. We check that the public key has been signed by a trusted certificate authority – if this fails, the CA can’t vouch for the person signing it, so we shouldn’t trust it. We compare the hash we computed with the file that was uploaded. If the two hashes match, then the binary hasn’t been tampered with, and we can trust it. I took the previous POC code, and extended it to do just that. The garage door opener has been running pretty well for the past couple of months, but I still have some work to do. I haven’t built out the configuration interface yet, and it turns out that if Home Assistant restarts, it forgets the last open state, so with out opening and closing the door again, I don’t know the state of the door. This means I need to update the firmware. The ESP8266 has facilities to do Over-the-Air (OTA) updates, however it doesn’t verify that the uploaded binary has been compiled by the person the device thinks it has. The easiest way to do this is to create a digest hash of the file and sign it. Then the device can verify the hash and check the signature matches. There is an issue to implement this on the ESP8266 Github page, so I thought I would have a look at implementing something. The first step is to be able to compare a hash. I decided to use the AxTLS library, as it has already been used for the SSL encryption on the device. After a google search, I found this page that outlines has to verify a SHA1 + RSA signature. I then uploaded the files to the ESP8266 SPIFFS filesystem, and wrote some quick POC code. The computed hash matches the supplied hash. Step 1 complete! The next step will be to generate a signed digest, and decrypt that. I was digging around the ESP8266 github page, as there was an announcement that it now supports CA verification (it ALMOST does – there was a regression bug that means it’s still not working), but I noticed that the last release (2.3.0 at time of writing) is actually quite old – it was released in June. I was going through recent commit messages, and noticed there had been quite a bit of work around integrating axTLS, which is a tiny TLS library specifically designed for computers with small memory footprints (AKA microcontrollers). It has been said that the ESP8266 doesn’t support TLSv1.2, because of a buggy implementation in the firmware, which I had verified earlier in testing and hence configuring MQTT to force TLSv1.1. By including axTLS as part of the Arduino library, and not relying on the ESP8266 API, I wondered if TLS1.2 was now supported. It does mean we’ll have to use a “unstable” version of ESP8266 library. This means other stuff might not work, we need to install it using git, and it’s up to us to keep everything up to day. Thankfully, it isn’t that difficult to install the library using git. First, remove the existing ESP8266 library using the board manager – find it using the search function, then hit remove. Now, you can manually install – Instructions are here. Don’t forget to re-select the right board and to set the CPU frequency to 160Mhz! This creates a new branch based on an older revision that seems to still work ok.
from both mosquitto-client/Dockerfile.pub and mosquitto-client/Dockerfile.sub. Garage Door Opener – How can I make this garage door opener secure? One of the design goals for this project was a secure system – this device can open my garage, and I don’t really want just any person to be able to do that! Disclaimer: I’m not a security expert! If you find holes in my logic, please let me know! After some research, I found this paper (PDF) talking about the use of the publish/subscriber pattern (AKA pub/sub), where a device connects to as server and subscribes to event notifications. This means there is no port open on the device, so even if an attacker found it’s IP address, there is no way for them to connect to it. It seems MQTT is the IOT pub/sub system of choice (it drives a lot of public IOT platforms). Problem: If an attacker got on the network, they could just connect to the MQTT server and send a “open” command. Problem: What if an attacker managed to spoof the IP or MAC address (perhaps through ARP poisoning) they could become a legitimate MQTT server, allowing them to send an open command. Solution: Verify the identity of the server. 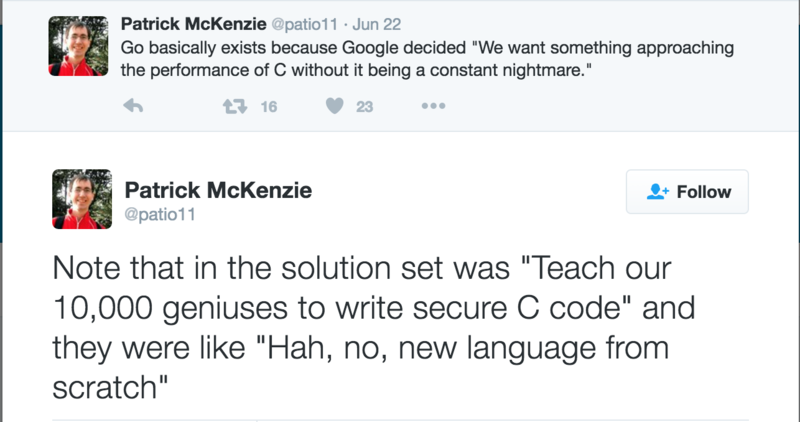 TLS certificates can help with that. Using a certificate signed by a custom Certificate Authority (CA) means we can guarantee the server is who it says it is. This also fixes the client verification problem from point 1. After a quick search, I found the mosquitto project – an open source MQTT server which looked pretty easy to setup, supports ACLs and TLS. I decided to set it up a test environment using docker, as it makes dependency management much easier, and also makes the setup scriptable, so when it comes time to deploy to “production” I know exactly what I need to do. Congratulations! You now have a working MQTT server running on port 1883. Because it hasn’t configured it yet, the server has no authentication or authorisation – that’s fine for the moment – let’s get the baseline working, then we can add the security layers later.The easiest way to test the server is to use the mosquitto command line client. I’ve included these as part of the docker-compose cluster – in fact, when you ran docker-compose, a subscriber was automatically created (subscribed to the “test” channel) and publisher publishes the first message. docker-compose run mosquitto-publisher -t "test" -m "Hello again"
mosquitto_pub -h mosquitto -t test -m "Hello again"
Which tells mosquitto_pub to connect to the server with a host name of mosquitto (Which is set by docker), publish to the “test” channel, and send the message “Hello again”.Now that we have a working MQTT server and a way of testing things, we can start looking at the Arduino side of things.